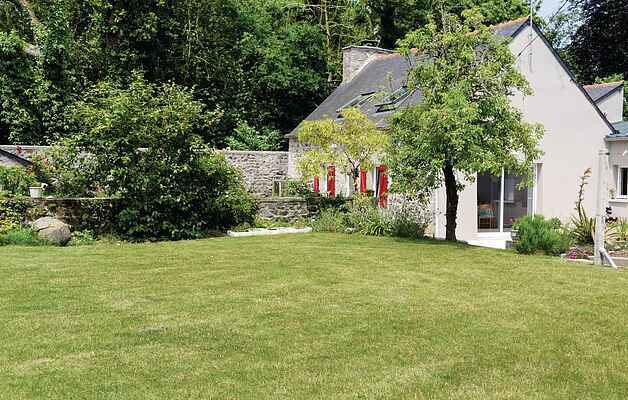 This former fisherman's house completely renovated is a very nice holiday home to discover Brittany with your family. Located between St Malo (42km) and Dinan (40km), it offers a cozy, bright and comfortable interior. You will enjoy the garden with barbecue and a nice terrace to spend good moments of relaxation or share your meals with your loved ones. A few steps from the house, you can sit on a bench and let yourself go to the reverie while admiring the panorama on the bay of St Cast ... Nearby (1km), you can visit the Fort Lalatte and continue your journey until at the cape of Cape Frehel (5km). Do not miss Dinan and its three kilometers of ramparts, plunging on the estuary of Ranceavec, with also a beautiful castle of the fourteenth century and its Clock Tower. To stay in shape or simply relax in the fresh air of Brittany, you can practice water activities in Erquy (12km), horseback riding, fishing at sea or a nice walk or mountain bike along the shore . And do not forget to stop in a good restaurant or creperie to enjoy the culinary specialties that are also the Côtes d'Armor's fame. Thanks to this lovely vacation rental, your stay will be a real success.